Sound reinforcement. Professional audio. Whatever you call it, the process of using machinery to reproduce live or recorded music and speech is a classic marriage of art and science, just as Galaxy Audio is a coming together of the twin disciplines of acoustics and electronics. I’m Roger. I work in marketing, the one member of the Galaxy Audio family whose background doesn’t include a zillion years as some kind of audio whiz. Virtually everything I know about audio, I’ve learned since joining Galaxy. Brock Jabara, the President, says that makes me the ideal candidate for the job of composing this introduction to sound equipment. Luckily for me, the people I work with, in addition to being the real experts, are good at explaining things in ways that even I can understand. Maybe Brock is right, if I can pick up on this stuff, anyone can. Enough about me. From this point forward, it’ll be Galaxy, us, or we. Scientists, engineers, and hard-core enthusiasts in any field always seem to invent a jargon that’s incomprehensible to all but those on the inside. We, on the other hand, are going to stick to everyday language. Key words and phrases, when first used, usually appear in bold type; later references are in italics. (There are exceptions, like when the use of bold type or italics might be confusing, or when italics are used simply for emphasis) A glossary is provided. The following section is a general overview of sound. It’s good stuff to know, but not essential to the rest of the story. Skip ahead if you wish. It’s a tired old question: If a tree falls in the forest, and no one is there to hear it, does it make a sound? Some people contend that in the absence of a nearby animal’s organs of hearing, there is no sound— only a vibratory disturbance caused by the falling tree. Sound is a form of kinetic— acoustic— energy. Think of it as waves of pressure that travel through a medium, which can be water, a metal, or anything other than a vacuum. Not all mediums are equally conductors of sound. Water, for example, works better than lead. We’ll concentrate on how sound moves through air. Each sound wave can be viewed as a complete cycle which consists of two half-cycles: The first, a compression of air molecules, is immediately followed by the second, a rarefaction (the opposite of compression) of air molecules. The quantity of these cycles, occurring within each second, is expressed as frequency (which determines pitch). To be audible as sound, the frequency of the waves must be between approximately 20 and 20,000 complete cycles per second. In acoustics, cycles per second are also known as hertz (Hz). Increments of 1,000 cycles per second are known as kilohertz (kHz). The strength, or volume, of acoustical energy is expressed as amplitude. Acoustical energy can be represented graphically on an oscilloscope. This electrical representation is known as an audio signal. The sound pressure level (SPL) is measured in decibels (dB). A difference of 1 dB is considered to be the smallest that can be detected by the human ear. An increase of 6 dB equals twice the sound pressure. The speed of sound moving through 59 degree (Fahrenheit) air at sea level is 1130 feet (344 meters) per second, or about 770 miles per hour. Altitude, temperature, humidity and other factors affect the speed at which sound travels. Wavelength is the name given to the distance covered by a complete cycle of a particular frequency. For example, a 56 Hz tone produces a 20 foot wavelength. Other principles and definitions are explained in the context of how they relate to the operation of Galaxy Audio. Determine the speaker load on your amplifiers using Ohm’s law. Learn sound reinforcement basics, including how to avoid feedback, properly position monitors and avoid distortion. Take a closer look at the inner workings of a speaker, including woofers, tweeters and crossovers. Understand gain system setup and feedback control will help you create the perfect sound. Understanding the sensitivity and efficiency of speakers will help create uniform sound throughout a venue. 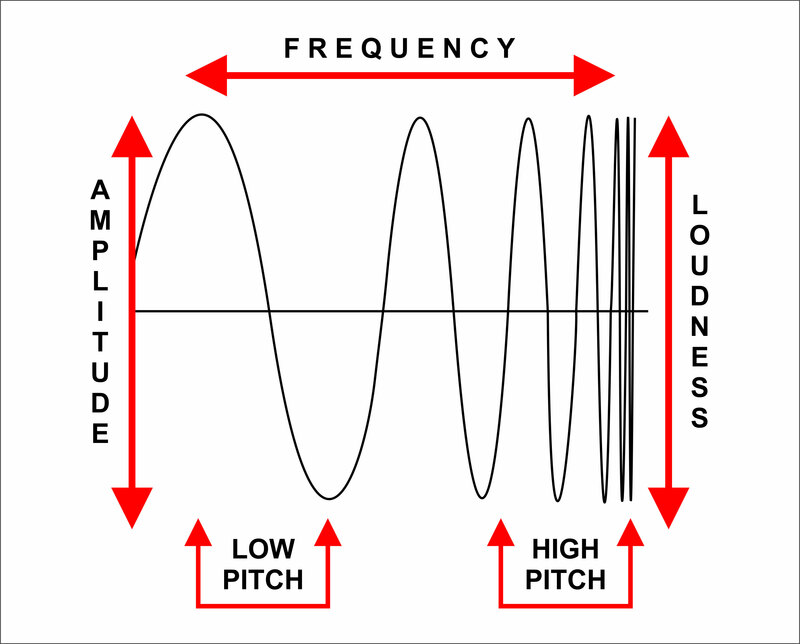 Understanding impedance and how amps interact with speakers will help you get the most out of your speakers. Learn about polarity and phase of microphones, mixers, amps, speakers and more to produce the best sound. Common questions and answers about our Galaxy Audio equipment. Common technical terms associated with Galaxy Audio equipment.